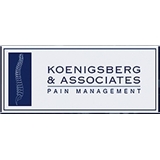 Koenigsberg & Associates Pain Management (Philadelphia) - Book Appointment Online! Wonderful, he is a life saver. Staff and doctor are excellent.